Bernie Sanders has joined a bipartisan group of senators to lobby the federal government for looser banking regulations made by financial institutions. Sen. Bernie Sanders (I-Vt.) has joined a bipartisan group of senators to lobby the federal government for looser banking regulations regarding decisions by financial institutions to do business with cannabis dispensaries, saying that the current policy incentivizes crime and places people’s lives in danger. The federal scheduling of cannabis has created substantial problems in how the legal cannabis industry handles its finances. The DEA’s classification makes it a federal crime for financial institutions to do business with cannabis proprietors. Cannabis dispensaries across the country – particularly those that have proliferated in states in which the substance is legal for medical or recreational use – have been unable to secure bank accounts and to accept credit cards. Because of the federal government’s approach, many growth facilities and dispensaries have been forced to operate entirely in cash. This has thus opened the door to serious security concerns: Dispensaries nationwide have found themselves the victims of robberies, forcing them to invest heavily in security precautions. As a result, many cannabis retailers have lobbied aggressively to have the banking regulations altered. The issue has also caught the attention of state regulators. Washington state Democratic Rep. Denny Heck – whose home state allows for the legal cultivation and use of recreational cannabis – has issued warnings about how the lack of banking options could pave the way for increased crime. Quite literally, you have accountants stuff $50,000 worth of cash in their backpack and walk it to a depository… This is a recipe for mischief if we don’t solve it. Some measures have been attempted by members of the U.S. Senate to resolve the issue, including one provision that was passed by the Senate Appropriations Committee earlier this year. Though the problem remains widespread. 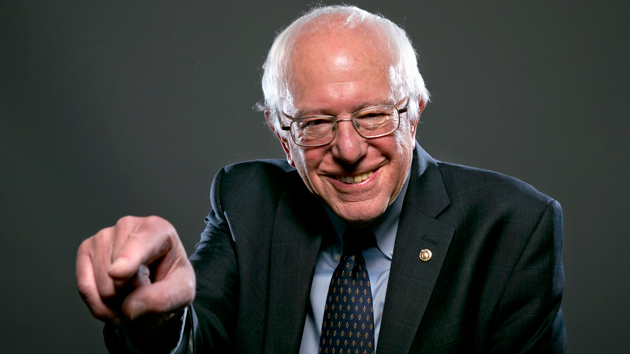 Sen. Sanders joined nine other senators – a group that included Democratic Sens. Elizabeth Warren (Mass.) and Al Franken (Minn.), as well as Republican Sen. Lisa Murkowski (Ak.) – in penning a letter to the federal government, asking for the financial restrictions to be altered. The missive was addressed to the Financial Crimes Enforcement Network, a branch of the U.S. Treasury Department, and described the burden borne by many of the nation’s cannabis businesses as a result of the federal policy. [T]hese legitimate, indirect businesses have been unable to open checking accounts and accept credit cards or checks. In some cases they have also lost access to existing accounts, such as retirement accounts, and have been forced to pay their employees, taxes, and bills in cash. The fledgling legal market for marijuana is around $7 billion, a figure that’s dwarfed by the overall $50 billion US market, most of which remains illegal. This business environment is an invitation for tax fraud, robberies, money laundering, and organized crime. Though the administration of President Obama has taken a hands-off approach to enforcing federal drug laws in states that have legalized cannabis, many financial institutions have neglected to begin business with cannabis businesses in an effort to first see how the incoming administration of President Trump will handle the issue.